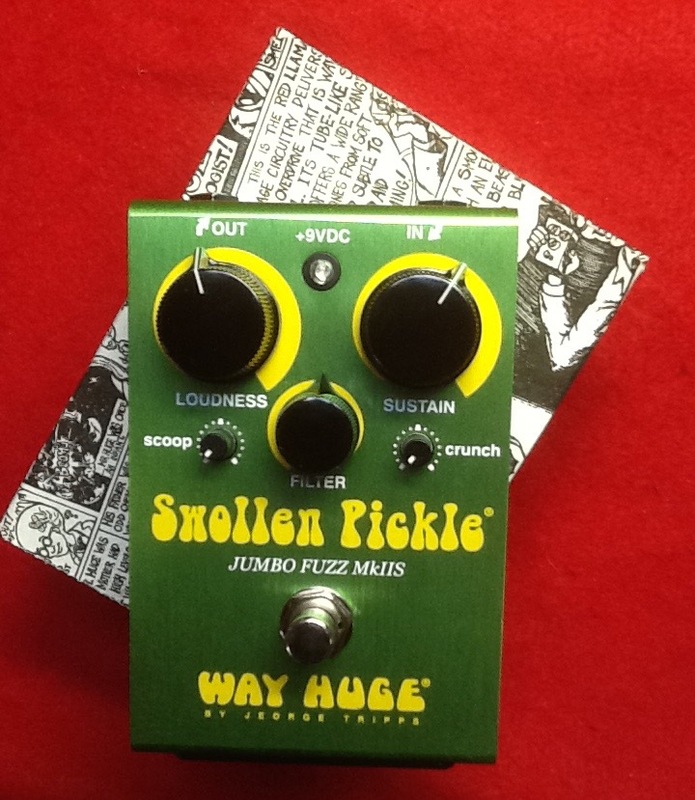 New Way Huge Swollen Pickle Jumbo Fuzz .Free shipping. The Swollen Pickle™ Jumbo Fuzz MkIIS serves up the same burly high gain fuzz as the full-sized MkII but in a more petite package. With a twist of the Sustain control, you’re taken from mild crunch to Armageddon! The Filter control retains its trademark insane range of heavily bandpass-filtered tones, distinguished by remarkable girth and sizzle, and the Loudness puts out enough volume to clobber any amp! 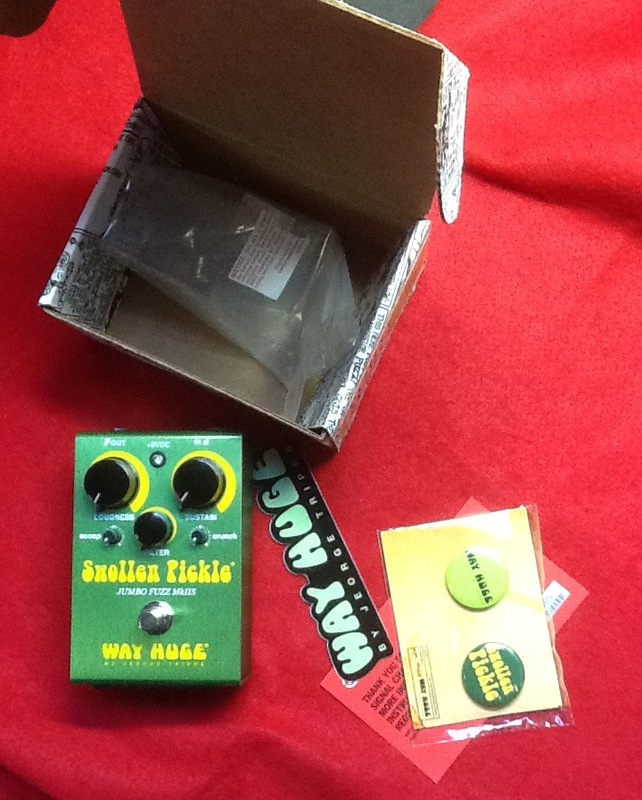 The Scoop tone stack control elicits classic Swollen Pickle mid-scoop or a flat mid-frequency sweep, and the Crunch knob adjusts the compression intensity of the fuzz. Finally, under the hood, the MkIIS has two internal mini controls: Voice sets the intensity of the external scoop control from light to heavy mid cut, and Clip varies between two sets of clipping diodes for smooth or opened fuzz sustain.